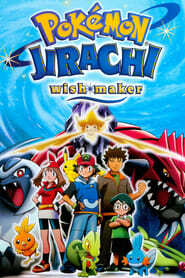 Grew Up... in a world where humans coexist with Pokemon, creatures that possess element-based powers. His mother’s house is near that of Professor Oak, a Pokemon researcher. Ash grows up dreaming of becoming a successful Pokemon Trainer. Visiting... everywhere! 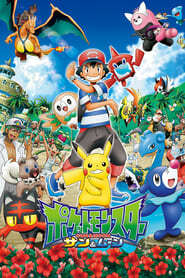 As a Pokemon Trainer, Ash must travel the world to visit Pokemon gyms, where he can earn badges if he defeats the gym leader in a Pokemon battle. 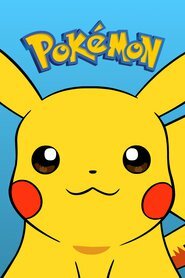 Along the way, Ash is joined by his loyal Pikachu, a mouse-like Pokemon, and a variety of other Pokemon and human companions. Profession... aspiring Pokemon Trainer. 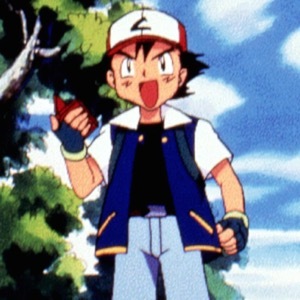 As a Trainer, Ash's main objectives are to capture new Pokemon and refine their powers for battles. Exclaiming, "I've got so much energy I don't know what to do with it! ", Ash certainly has enough enthusiasm for the task. Whether this excitement will translate into being a truly great Trainer is another matter. Interests... eating, helping others, and Pokemon. While Ash is determined to learn more about Pokemon, his journeys include many detours. 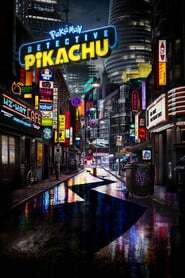 But whether it's investigating a haunted house or saving a town from Team Rocket, a terrorist organization devoted to illegally stealing Pokemon, Ash enters into these adventures with as much enthusiasm as he trains his Pokemon. Relationship Status... single. While many other Pokemon Trainers join Ash on his journey, he hasn't taken an interest in any of them so far – but then again, he is only ten. Challenge... becoming a Pokemon Master while fending off Team Rocket. As a Pokemon Master, Ash would be recognized as one of the best Pokemon trainers in the world, so it's no wonder that he wants the title so badly. Despite this, Ash refuses to mistreat his Pokemon in pursuit of this goal, opting instead to consider them close friends and comrades in battle. Personality... loyal, selfless, and passionate. Though frequently overconfident and not exactly the brightest Pokeball in the bunch, Ash has his heart in the right place and is always willing to help those in trouble, no matter the circumstances. Like he says, "Do you always need a reason to help someone?" Ash Ketchum's popularity ranking on CharacTour is #238 out of 5,000+ characters. See our top-ranked characters and read their profiles. 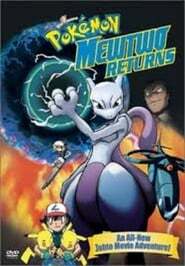 The adventure explodes into action with the debut of Mewtwo, a bio-engineered Pokemon created from the DNA of Mew, the rarest of all Pokemon. 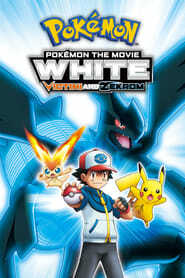 Determined to prove its superiority, Mewtwo lures Ash, Pikachu and others into a Pokemon match like none before. Mewtwo vs. Mew. Super-clones vs. Pokemon. It's the ultimate showdown ... with the very future of the world at stake! 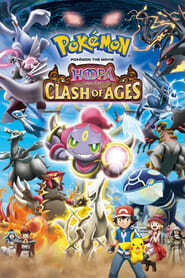 All your favorite Pokémon characters are back, and are joined for the first time by the legendary Pokémon Celebi and Suicune, in this latest exciting Pokémon adventure! 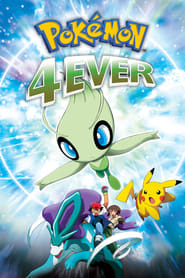 In order to escape a greedy Pokémon hunter, Celebi must use the last of its energy to travel through time to the present day. Celebi brings along Sammy, a boy who had been trying to protect it. 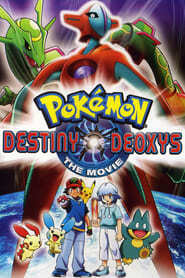 Along with Ash, Pikachu, and the rest of the gang, Sammy and Celebi encounter an enemy far more advanced than the hunter left behind in the past. This new enemy possesses a Pokéball called a “Dark Ball,” which transforms the Pokémon it captures into evil and far stronger creatures. 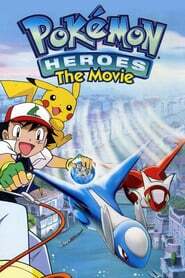 When Celebi is captured, the fate of the entire forest is threatened. 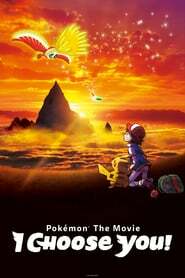 Let POKÉMON 4EVER transport you to a world of adventure as Ash, Suicune and the rest take action to save the day! 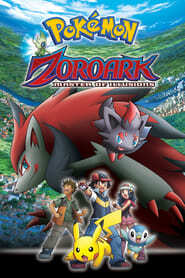 The thirteenth film overall for the long-running series and the fourth movie in the Diamond and Pearl story arc, it includes an upcoming creature from Pokémon Black & White, named Zoroark, as the main character (as well as its pre-evolved form, Zorua). 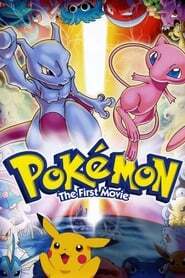 In the movie, Celebi travels to the past to prevent a battle between Raikou, Entei, and Suicune after seeing the future battle in a vision. 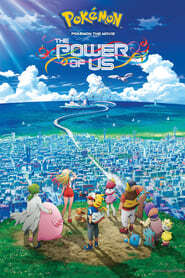 Meanwhile, Ash, Brock and Dawn make it to Crown City to attend the annual Pokémon Baccer World Cup where they have an encounter with Zorua, who has lost his companion. 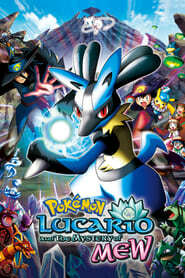 The town is then attacked by the Legendary Pokémon Raikou, Entei, and Suicune... who are revealed to actually be Zoroark. 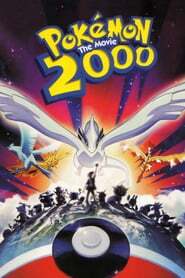 It is then up to Celebi to appear from the future and help the trio stop the rampaging Pokémon. 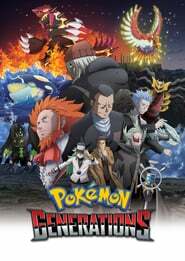 The new animated miniseries Pokémon Generations revisits each generation of the Pokémon video game series to shed new light on some timeless moments. From the earliest days in the Kanto region to the splendor of the Kalos region, go behind the scenes and witness Pokémon history with new eyes!